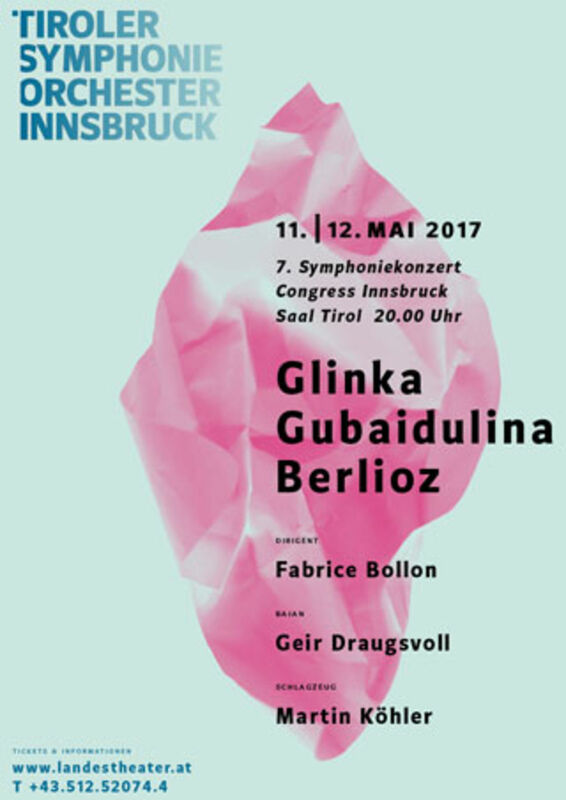 The bayanist Geir Draugsvoll and the percussionist Martin Köhler will be the soloists at the 7th Symphony Concert of the Tiroler Symphonieorchester Innsbruck (Tyrol Symphony Orchestra Innsbruck), conducted by Fabrice Bollon, on 11 and 12 May 2017 at the Congress Innsbruck. The concert on 11 May 2017 will mark the Austrian premiere performance of Sofia Gubaidulina’s composition “Fachwerk” for bayan, percussion and orchestra. Sofia Gubaidulina wrote her composition for Geir Draugsvoll, a Norwegian living in Copenhagen, also dedicating it to him. The bayanist was the soloist at numerous “Fachwerk” local premieres around the world, as well as at the world premiere on 13 November 2009 at the music centre ‘De Bijloke’ in Gent with the percussionist Anders Loguin and the Amsterdam Sinfonietta under the musical direction of Reinbert de Leeuw.